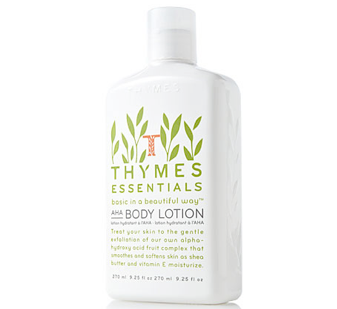 Thymes Fragrance Collective, based out of Minneapolis, Minnesota has so many great gift choices for mom. My sister, Nicole, just can’t live without their Essentials Collection, especially their body lotion. The fragrance is subtle, earthy, and oh-so calming. Get some today and help de-stress your busy mom! A friend of mine confided that his gift of a yearly Costco membership each Mother’s Day makes his mom melt with delight. It’s thoughtful, practical, and let’s her know you were listening when she was teaching you how to be fiscally responsible. Photo collages or a framed snapshot in a frame is always a traditional fav. Never underestimate the power of a macaroni frame! Handmade gifts are always the best! She’ll keep it forever! Does your mom love art, food, celebrity gossip, home design, yoga and fitness mags, or business and tech rags - whatever your mom is interested in, you can find a suitable magazine subscription to show mom you love her. Plus, she’ll think of you every month when a new issue arrives. It’s the gift that really goes on --all year round! For super great magazine subscription deals check out Brad’s Deals where you can often find subscriptions for as little as $4.00! For mom’s who love to cook, consider potted herbs like basil, rosemary, cilantro, dill, and mint. Mom will enjoy embellishing her dishes with these tasty accoutrements and you’ll both feel great knowing they’re a super healthy addition to any meal! Flowers will die, but these plants will flourish all year long! You can get an herb garden kit from Gardener’s Supply Company for under $20.00! All moms ever want is quality time with the family. Check out these Idea Cards, each with a suggested idea to bring a little spark to your family fun time activities -only $24 for 80 Family Idea Cards! To honor those mom’s who have passed, but whose influence has not, a charitable gift in their name is the ideal answer. It’s a gift that helps others and it’s the perfect way to continue the positive influence of the women who have inspired us, living or not. Two good choices include the Meals for Moms program through the Meals on Wheels organization, or give a global gift donation to mothers in need through the International Rescue Committee. Show mom you care by caring for others! Thymes Essentials is an Essential for mom! Your search is over! For $24.00 you can treat mom to the indulgent scents from the fragrance collective, Thymes.